Thomas Hobbes was a renowned English philosopher and political scientist. Born in Wiltshire, England, on April 5 1588, he also contributed largely to ethics, morality, history, geometry and physical sciences. Ideas presented by Hobbes are vividly unique. Being the father of modern western political philosophy, he scrutinized the formation of societies and governments, saying that humans willfully hand over their independence to an unquestionable authority, in order to gain safety and stability. The dangers of a solitary, independent life are too great not to compromise our liberty for, as per Hobbes. In his most famous work, Leviathan, Hobbes presented his theory of social contract, on which most of the Western political philosophy is based. He termed a society without a central authority as the ‘state of nature’, and said that it was dangerous, nasty and poor. It is a state where humans are not obliged to fulfill any basic rights of others, and where self-defense takes priority above everything else, which results in destruction, chaos and disorder. This anarchic situation resulted in a social contract, where humans gave up some of their rights, such as absolute freedom, in order to gain safety from each other. They accepted a ruler above them, who would ensure that every individual follows this contract, and this led to the formation of societies and sovereign states. Laws were made to protect the citizens and control the society. Life was not ‘a war of all against all’ anymore. Another dilemma resulted from the emerging state-system: there is no central authority to rule above the sovereign states to regulate their interactions, resulting in wars and disputes among states. The social contract theory forms the basis of realism, and has influenced a number of political scientists and theorists of international relations, such as Hans Morgenthau and E.H Carr. Hobbes believed monarchy to be the most suitable form of government, one which guarantees peace as it can solve disputes among citizens, and between state and religion. To Hobbes, any form of government is better than no government at all, as it could lead to civil war. If all individuals submit unanimously to a central figure, conflict can be avoided. Thus, obedience is the key in Hobbes’s ideal form of government. Even though he was in favor of absolute sovereignty of the authority, he also championed the rights of the citizens: equality, the right to choose their ruler, and varying interpretations of law so as to practice freely what is not clearly forbidden by the law. On the issue of morality, Hobbes believed that circumstances decide what is right and wrong. In the state of nature, ethics do not exist. Humans are free to do what they believe is right in the given situation, when they are not ruled upon by a central authority. In a ruling state however, the ruler would decide the morals and ethics of the citizens. This directly leads to an autocratic form of government as Hobbes’s ideal: a state which would even decide between the right and wrong for its citizens. Hobbes deemed human observation and judgment skills as faulty and unreliable. He has various reasons to prove his point. Hobbes stated that every situation has a different effect on the person experiencing it. The state of mind, the pleasure and pain, and the beliefs instilled in a human prior to the situation come together to give a completely new perspective on the observation and the resulting judgment of that situation by a person. For Hobbes, the one true judge for all situations and experiences should be science and physical methods, as it is reliable and consistent. As per Hobbes, there is always going to be a certain amount of bad in our societies, and it is up to us and the states as to how we tackle it. 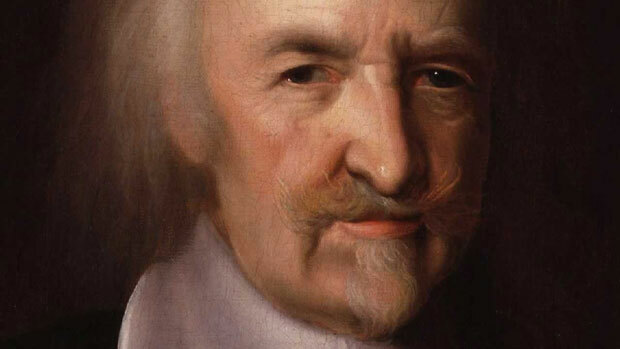 Thomas Hobbes died on 4 December 1679. His philosophy is one based on reality, and it has shaped many of our political truths.